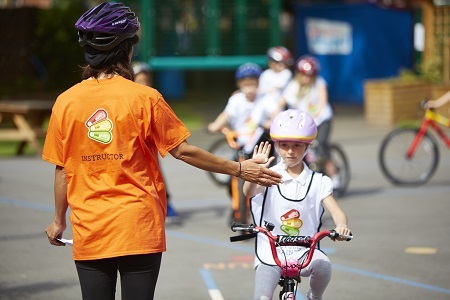 The Bikeability Trust, the charity which manages the Department for Transport-funded Bikeability cycle training programme, has appointed Promote PR to raise the profile of Bikeability in England. The Bikeability Trust aims to get more people cycling, more safely, more often by building their confidence and ability to cycle. The remit of the specialist sports PR agency will be focused on highlighting the benefits of cycling to increase parental confidence in their children riding a bike so they can cycle regularly. The campaign, which will run across both traditional and social media from the Spring, aims to tap into the child inside every parent, helping them rediscover the joy and feeling of riding a bike so they can enjoy a shared experience as a family. Promote PR celebrates its 25th anniversary in 2019. Founded in January 1994 by Sue Anstiss MBE, the Berkshire based agency’s client list currently includes leading sports brands such as Polar, Dunlop and Mizuno, sports National Governing Bodies including British Rowing, England Athletics and British Triathlon, sporting organisations including the London FA, the RFU and Premiership Rugby, along with leisure and fitness venues such as Anytime Fitness, The Climbing Hangar and The Gym Group. The Bikeability Trust is the national charity which manages the Department for Transport-funded Bikeability cycle training and education programme. Bikeability is based on the government’s National Standard for cycle and instructor training. It prepares people to cycle everywhere cycling is permitted, and contributes to delivering the transport, environmental, health and economic benefits that more people cycling promises.